First up you want to clean the chain and service as much as possible, this will profit the life of the chain and minimise wear on both the chain and sprockets. One of the regular maintenance jobs on a dirt bike is checking the chain his tension and cleaning and greasing it. 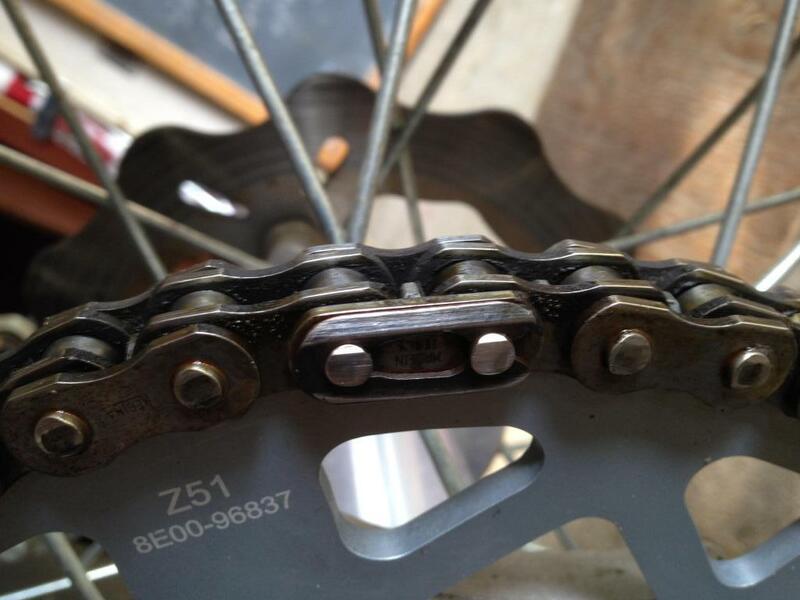 First up you want to clean the chain as much as possible, this will profit the life of the chain and minimise wear on both the chain and sprockets. Just apply the cleaner and let it soak in for a while, then use a cloth to clean the chain. Repeat twice for best result. Tension it the right way! After cleaning and inspecting it it's time to check and adjust the tension of the chain. Checked and adjusted the Tension? Greasing the chain ain't that difficult, but a bike stand comes in handy. Just put your bike in neutral and slowly turn the wheel the driving direction and grease up the chain from the inside. The rotating force will put the all the goods in the right places. Let it dry in for a while and you are ready to go! KTM 300 EXC, Husqvarna TE 300 & Husaberg TE 300. Extra power & ride-ability. OnlyMX clothing and products by Motorcycles United! Sparkplug reading, Checking your bike settings. Thor Spring 2019 collection preview & pre-order.